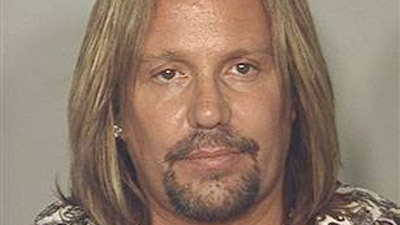 Motley Crue vocalist Vince Neil has been arrested for driving under the influence (DUI) near the Las Vegas Strip, according to a recent Associated Press article. The 49-year-old celebrity was stopped by police on Sunday, June 27, around 11:15 p.m. after leaving the Las Vegas Hilton hotel. He was taken into custody and released on Monday. At the time of the article’s release, information was not provided regarding the details of Neil’s arrest. However, some reports have mentioned that Neil has claimed to be drug and alcohol free for 20 years. While information has not been made public regarding why Neil was pulled over by police in the first place, law enforcement typically look out for delayed reactions to street lights, swerving, and disregard for using turn signals when on DUI patrol. An investigation into Neil’s arrest will most likely examine the accuracy of any Field Sobriety Tests (FST) or Blood Alcohol Concentration (BAC) tests that may have been conducted. Considering that this DUI arrest is a second for Neil, and a previous arrest was for vehicular manslaughter, if he is convicted, the penalties may be quite severe. In California, DUI court penalties for a second DUI offense may include an eighteen month alcohol program, up to 1 year in jail, driver’s license suspension for up to 2 years, up to $3,000 in DUI fines and court costs, probation for up to 5 years, installation of an ignition interlock device, and mandatory community service. If you or someone you know has been arrested for drunk driving in Southern California, the skilled Los Angeles and Orange County DUI attorneys at Takakjian & Sitkoff will thoroughly investigate the circumstances surrounding your arrest. As DUI lawyers, we understand how critical it is to prevent wrongful DUI convictions. The penalties for a drunk driving conviction are too harsh to leave up to chance. Get in touch with an aggressive and knowledgeable DUI attorney to defend your rights. Call 866-430-8383 today for a free consultation of your DUI case.